One of the hardest things that we are asked to do as Christians, is to love our enemies. For many of us those enemies can be in our family or in our community. For a lot of Americans these days, it is our government. The response that we are called to in this situation is prayer. Sure we can call and write our Representatives and vote, and we should, but after that we must pray. The government shutdown has been maddening. It has revealed a thuggish, petty, and downright evil government that is bent on making people miserable. I personally was livid that World War II Veterans were being denied access to their own memorial. My grandfathers, may they rest in peace, fought against tyranny and thuggery at great sacrifice to themselves and others. It reminded me that our current President is a toddler and a bully. But, it also reminded me that he is depraved and in need of saving from Our Lord, just like the rest of us. Without Christ, this is who we become, empty shells who are only concerned with power and hurting people who do not uphold our self worship. When I heard that Catholic priests could be threatened with imprisonment if they ignored an order not to perform the Sacraments, if they were contract employees for the government, I felt physically ill. I felt this way because many of us have noticed the increased attacks on the Church (HHS mandate anyone) and her priests (GWU). A lot of us, especially priests of my generation, know that things are going to get a lot worse. Once a government or people start to attack the Sacraments things are in full on persecution mode. To deny Catholics the very center of their Faith is to deny them the right to practice their God given right to religious liberty. It can sound trite, but we must learn to pray for our enemies. Why? Because prayer changes us, as C.S. Lewis would say, and it can bring about conversion. Yes, prayer can be petitions to God for the sake of others, but it also frees us from hatred. It is very difficult to hate someone if you are truly praying for their salvation. Prayers helps us to keep our own humanity intact in the face of barbarism or evil. That does not mean that we are not righteously angry. It does not mean that we do not fight and defend the Faith. It just means that we cannot allow sinful anger to destroy our hearts. We must fall on Christ. We are all sinful and in need of a Savior. Looking at the people in charge of our government, we can see a greatly depraved and craven generation of people. They have turned in so much on themselves that they are blocking out the good and only serving their own interests and their own egos. They have forgotten their place in life. They have forgotten their place in the Mystical Body of Christ, especially for those who claim to be Catholic but work hard against her teachings and God’s moral law. The call to prayer is absolutely necessary for the future of our country and the purification of our own souls. It teaches about pruning away irrational anger. When we are justifiably angry about what is going on in this country, we must also pray for the conversion of sinners. We are all capable of great evil, and it is those who have chosen good, who must help others to turn away from the Enemy. Christ calls us to go out to the people and bring them to Him. We are all lost without Him. So, even though it is difficult, pray for those who persecute and hate us. It has been this way since the Fall. If it is hard to utter words, I would suggest a Divine Mercy Chaplet. 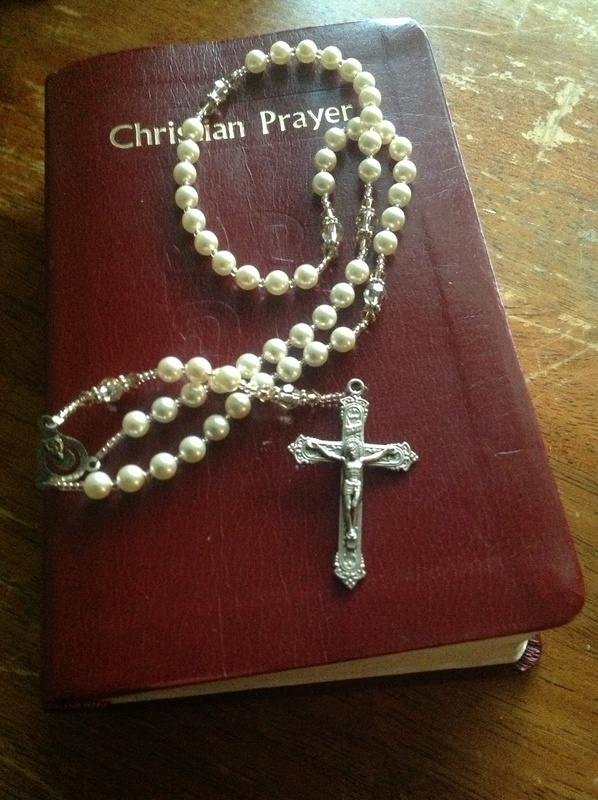 It is short, done on a Rosary, and full of the power of the Cross. This is beautifully written and I cannot agree more with you on the subject. I believe some forget how truly powerful prayer can be and is. Keep spreading the light! ← What is Pope Francis Really Saying About Sin?